This home & property has an inviting personality. The log home was originally built in this lovely creek-side woodsy setting in 1968, and has since had attractive additions, meaningful upgrades, and lots of loving care. It is a beautiful property, and just feels like "back to nature", but not in the boonies. 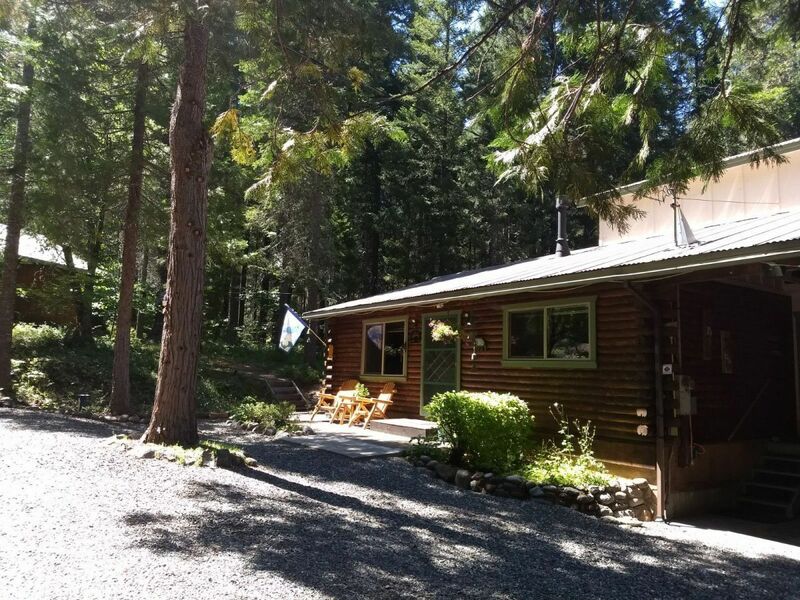 The 2Bed/2Bath cozy cabin style home has a full acre with year round Greenhorn Creek running through. The property extends across the creek, and backs into USFS. The healthy charming neighborhood of Covington Mill is hard to resist. Just minutes from a Trinity Lake boat ramp, mountain views, and anything recreational that you might want to do. Nicely set up for year round living, 1424 sq ft, 2 car garage, carport, outbuildings and basement workshop. You get privacy, quiet & cool starry evenings & plenty of wildlife. A special find!